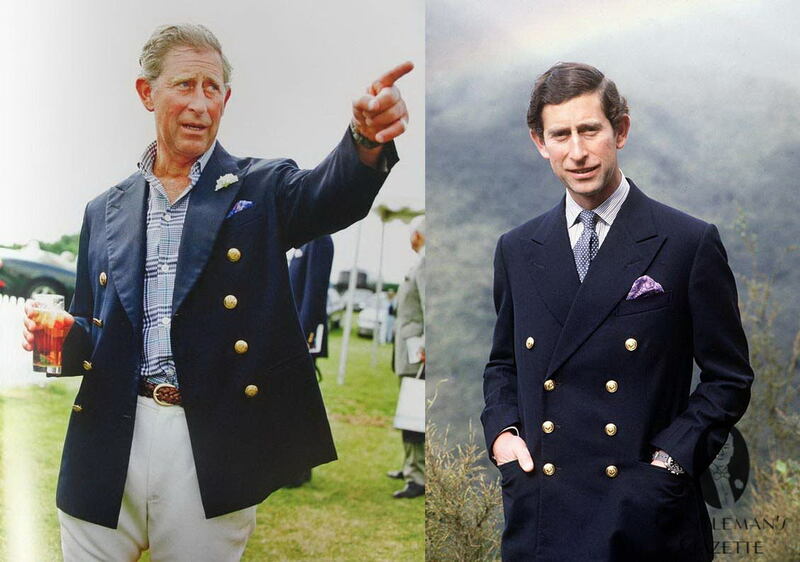 I am missing buttons from two separate blue blazers I own. I think they were stolen. And I think they were stolen by this man. I’m going to London. And I’m going to speak with someone at Scotland Yard. That’s just too many buttons not to be suspicious. On an unrelated note, what do you think about the formality of tennis sweaters, or a heavier cricket variety, without knitting patterns (i.e. a fine knit instead of cable knitting) and in darker colours or earth tones? As I’ve been following this site for quite some time now, I’ve searched for your thoughts on this but unfortunately to no avail. Would it be seen as rakish in more formal contexts? Hi Fred, thank you for the question, and welcome. I think a smoother finish (fine knit) on a sweater might be more versatile, as it can be worn under a sport jacket or blazer. I’m not sure the cable knit works as well in that regard. I think the important thing is to go with natural fabrics (100% wool or 100% cotton), and solid colors. Navy blue, grey, dark green or burgundy always work. In more formal settings, a wool or linen vest (waistcoat) might be an option, coupled with a blazer or wool sport coat. That’s just my opinion. Would love to hear from other readers. I agree with Byron. For a formal outfit, a vest is a better option. For a business outfit, however, a fine knit, solid colour sweater is appropriate. 100% natural fabric. An alternative is the cardigan. John Elkann wears them even in bright colours, with suits. As with any piece, make sure the colour combines with your outfit.